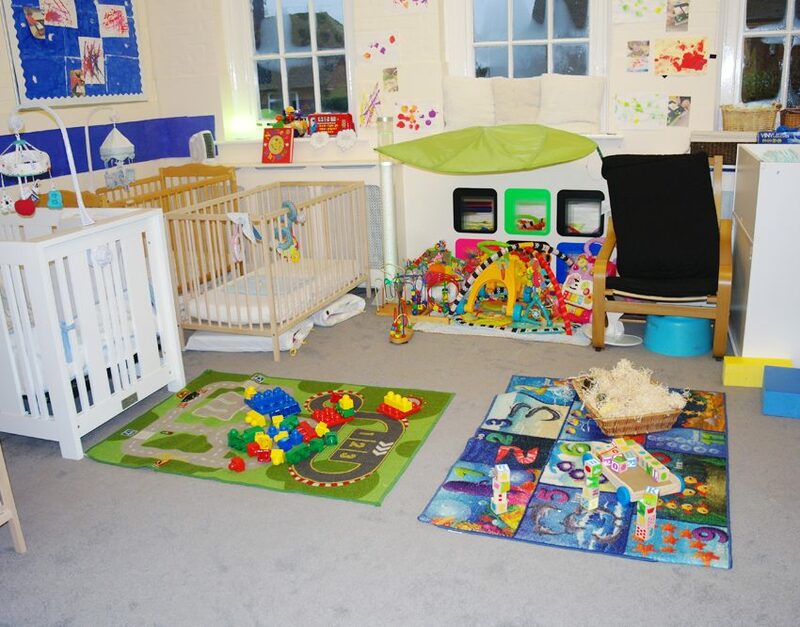 Room Description: This is the room for our youngest children-walkers and non-walkers. Welcome to our baby room. 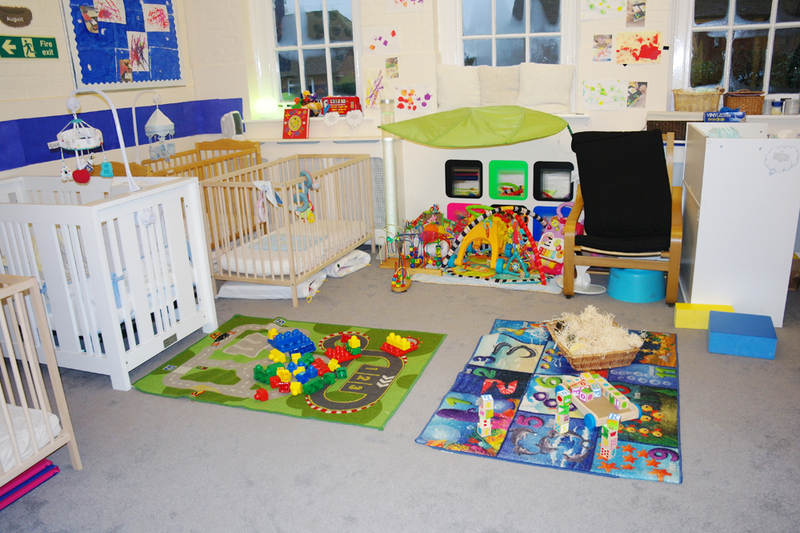 This is the room for our youngest children-walkers and non-walkers. It is filled with a variety of age appropriate resources, including a black and white area, a sensory area, transport and cars, a kitchen corner, reading corner, and messy play area. In the Robins room we focus on making the starting blocks to our primary development. We develop our physical skills such as crawling, standing and walking. We start trying to develop speech by always giving examples and lots of different activities with repeated words. We also start trying to teach good manners and help them to learn how to make relationships. All of the robins children enjoy joining with the rest of the nursery for meal times as they like to look up to the older children. You can view a sample meal planner here.